Interior design has been progressively charming us into becoming addicted to all new styles, interior provocations, unexpected yet very tempting juxtapositions of fabric, color and material choices and there’s nothing we can do about it but surrender. With the year 2017 bringing a whole new twist in the interior design trends, we get to enjoy (and implement) an array of choices that is incredibly vast yet beautiful, and adapted to virtually everyone’s tastes. 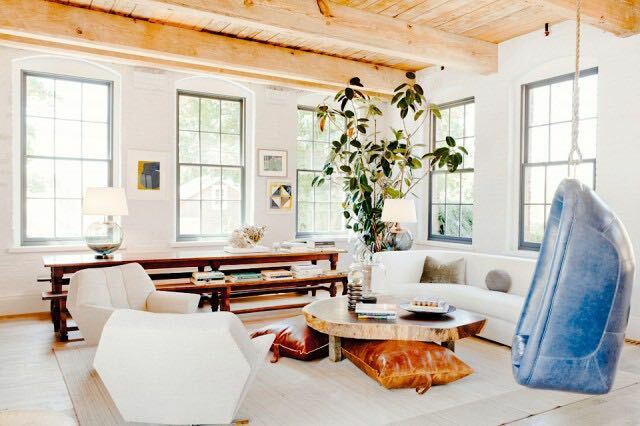 For all of you who are getting excited at a mere thought of redecorating your ambiance with the newly-emerged decorating trends, we’re giving you some of our favorite design directions to follow. Overwhelmed with all things simple and white all throughout 2016, year 2017 is flipping the page to the warmer side. 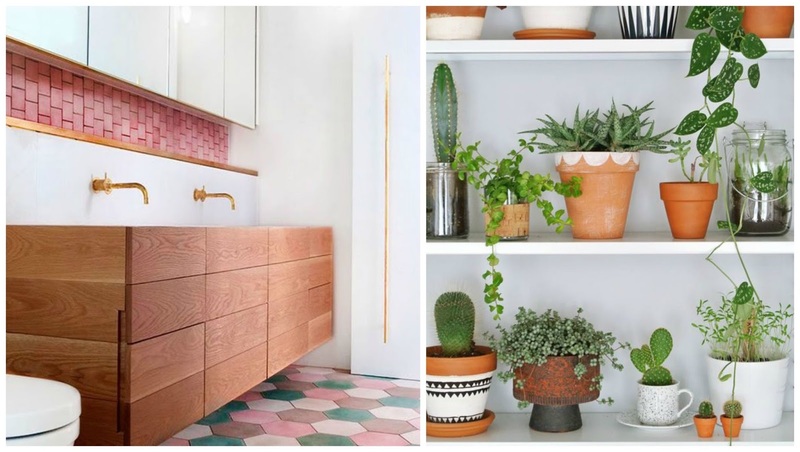 While terra cotta tiles do remind us of the 80s when they were used as border tiles, this time around they will be used as feature walls in bathrooms or for cladding fireplaces and will have a gorgeous natural matte finish. The too-rustic element of terra cotta tiles will be toned down by the matte finish which will add character and warmth to interiors again. Cork is making a comeback and it’s going to be amazing! 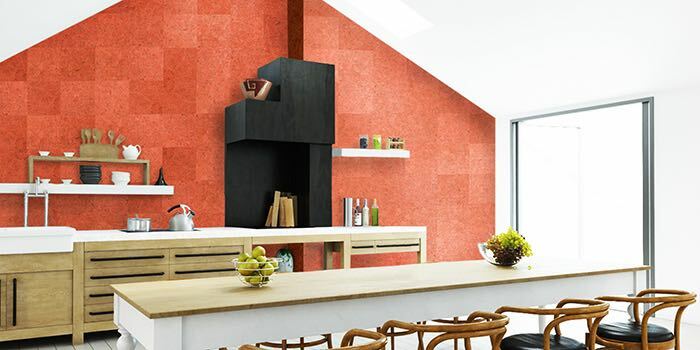 Cork is one of those stylish material ideas that add warmth and texture to spaces, and it’s ideal for absorbing noise in large, open plan homes. Combined with stone tops, cork looks amazing as base for coffee tables, as well as a side table or a solid cork stool. We won’t be surprised if cork becomes used to clad entire walls (similar to chalkboard walls) to pin notes to, especially in the offices, kids’ rooms or as exciting decorative walls in homes with a bit edgier interior design solutions. In 2017, we’re saying goodbye to navy and midnight blues and embracing dark shades of green that are “threatening” to become the new must-have dark interior color. This dark green creates a wintery Scandi backdrop for reindeer furs, tan leathers, brass lamps and natural linen. For those who aren’t that much into Scandi vibes, the color can be used in accents such as feature armchair, cushions, covers or rugs. Deep green adds depth and can bring in the colors from the outdoors easily or imitate a rich tone through manipulation of accents large enough to set the character of the room. Jewel tones are having a moment, too and are inspired by metals, space, stars, clouds and the cosmos. They will add a dash of sparkle and interest to your space. You’re probably aware that timber bed frames are currently dominating the market, aren’t you? Well, that’s going to change dramatically in 2017, with upholstered bed heads set to replace the plain and set a rather rich, extravagant tone. Given these types of beds have been a staple in luxury hotel bedrooms and celebrity homes for a while, it was time “the regular people” enjoyed them as well. 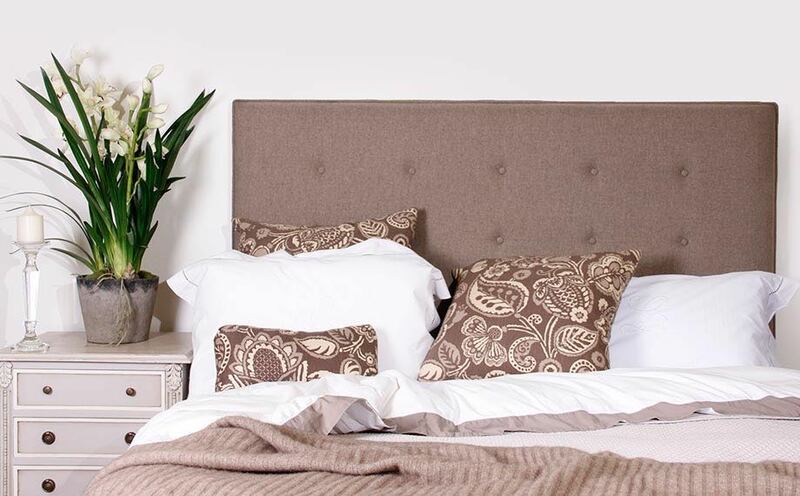 It doesn’t really matter what style you’re picking; a plush model in velvet or a classic model in neutral color with buttons – these bedheads are an easy way to update and add instant glamour to a bedroom. It is interesting that designers aren’t forcing the harmony of all-things-rich; in fact, the juxtaposition of expensive and inexpensive elements manipulated through items like fabulous cheap rugs and expensive wooden corner tables, second-hand vanities and rich-in-texture curtains is preferred, if not encouraged. We love it! Fed up with their glass offices and technology overflow, people will want a place to escape to, and why shouldn’t that place be (in) their homes? The interior design focus shifts to creating spaces in our lives devoid of digital distraction and seeking to create havens of calm and tranquility. It won’t matter if the focus is on turning your bedroom or your terrace into a nook you can escape to, as long as you’re having peace and quiet to enjoy some time on your own. Relaxed furniture and materials will follow suit, from day beds, deep sofas with linen slip covers and Icelandic sheepskins to oversized love seats, chunky knit wool rugs and floor cushions.